Day Two of the 'healthy' eating regime and my willpower is starting to wane already. What makes it so hard is being at home rather than in the office where I'm distracted from the rumble of my belly by far more important things. But when you're home all day (and I have another whole week off yet) and the weather's miserable and your really hungry and your toddler won't eat their English Muffin with banana and peanut butter, it's really hard to stay focussed. 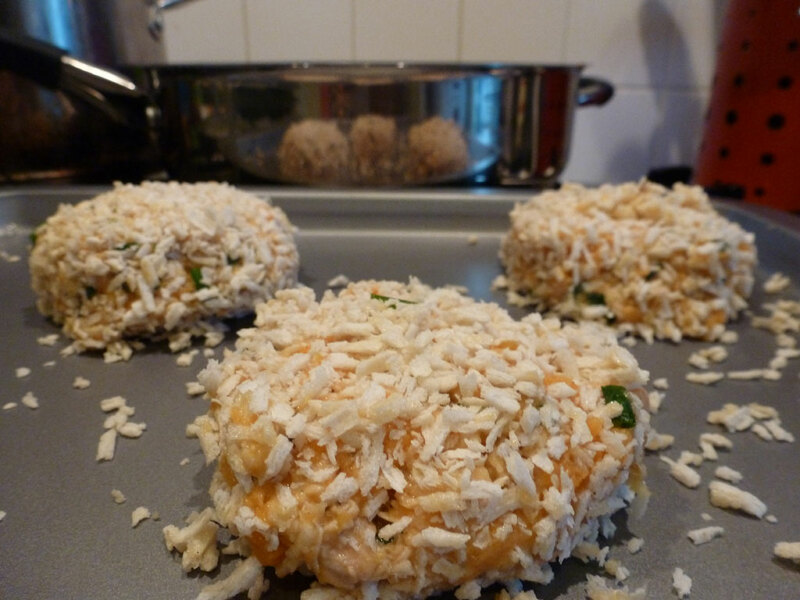 Thankfully, lunch for me today was Lorraine Pascale's Sweet Potato and Salmon Fishcakes from Home Cooking Made Easy. Chosen because fish is one of the few things the fussy toddler will eat. So she's having them for tea. Whether or not she'll like them is another matter. 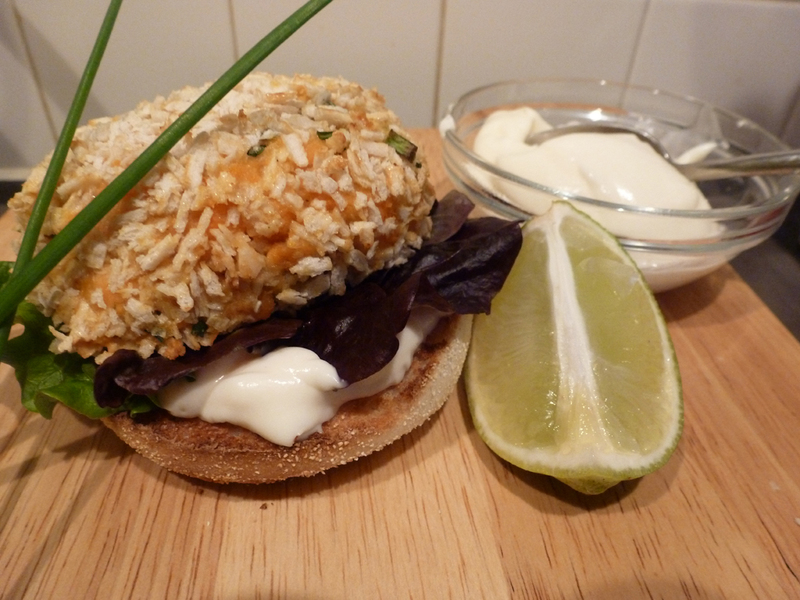 But it seemed like a really nice, healthy-ish recipe for me, my blog and my healthy eating regime. To help me remain focussed, I'm also on the look out for things that will motivate me through the next few long, dark-weathered months. We're holidaying in North Berwick this summer so I can't even use the 'I need to look vaguely okay in a swimsuit' level of motivation as the last time I wore anything less than full wet weather gear on a Scottish beach was about 25 years ago. My clippings so far include the photos I posted of me yesterday at my slimmest and fattest and a piece from Runners World about a woman who only seriously started running in her mid-thirties and went on to win the New York Marathon at 43. Okay, so I won't delude myself that I stand a hope in hell of doing that, but if I can get myself round a marathon before I'm forty, I'll be happy. 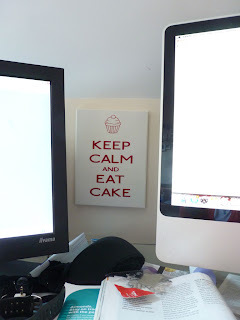 So if you have any little motivational snippets you'd like to send my way, please do. I need all the help I can get! 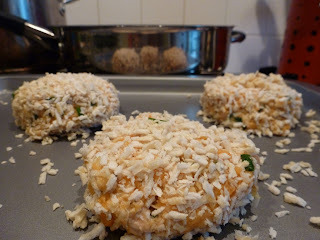 And I was rescued from the torture of toddler leftovers by the making and eating of these salmon fishcakes. Like all the Pascale recipes I've tried, they're very tasty but I did find the mashed salmon and potatoes very very wet to work with. To the point that I shaped them, put them down while I prepared the egg dip and then when I picked them up again, they fell apart. I can see why they'd need to be refrigerated if you go for the frying option. If (or rather when) I make them again, I'd probably just heat the mash mixture for a couple of minutes to let it dry out a little before shaping. They are covered in Panko breadcrumbs which made a really nice and crispy outer although I'm sure they look more aesthetically pleasing with regular breadcrumbs. And if you wanted to be really healthy, you could use wholemeal ones. They make for a really filling and tasty lunch. I had mine on half an English muffin with a pile of salad veggies and feel stuffed full, but in a light-stuffed, rather than Christmas-pudding-stuffed way. I made half the recipe and it made three generously sized burgers. And at 279 cals for the burger, the muffin half and a tablespoon of Hellman's extra light, this is diet food at its tastiest. Heat the stock in a lidded frying pan until boiling. Cook the sweet potato and fish until the potatoes are soft when poked with a knife. Drain in a colander then return to the pan and add all of the other ingredients (except the oil and items for coating) then mash together. Divide the mixture into four and shape into patties about 2 cm thick. Put the beaten egg and breadcrumbs into two separate dishes then dip each fishcake in turn, first into the egg and then into the breadcrumbs. Depending on how well the mixture coats the fish cakes, you may want to double dip them. Place on to a very lightly oiled baking tray and into the oven for 20-30 minutes. Love this recipe! thanks for posting. Appreciate my post is a year late, but I hope you've kept up the running! I reccommend http://www.bookdepository.co.uk/book/9781742375328?redirected=true&gclid=CI7E1fXm27QCFczHtAodFCwABw for motivational quotes!